We celebrated Heritage Day 2018 with a dress-up theme. 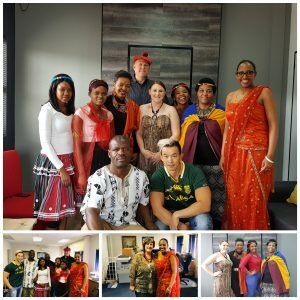 In celebration of Heritage Day 2018, staff members of our internal sales and admin departments were invited to dress up in outfits that represent their heritage. What a great turnout we had! The day was filled with fun and we all got to learn a bit more about our fellow colleagues and their heritages.